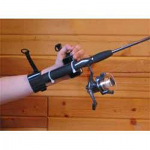 Sportaid offers and unrivaled collection of Disability Eating Utensils from all the top brands including Good Grips to make meal time more enjoyable. 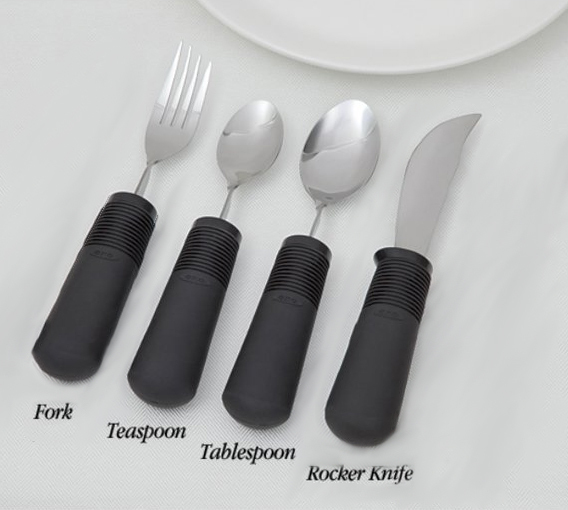 Select from this top manufacturer and save big with Sportaid.com's everyday low prices on Forks, Spoons, Knives, and more such as our Eating Utensils Set - Fork, 2 Spoons, Rocker Knife. Browse through our huge selection of Daily Living Aids or feel free to call 1-800-743-7203 for help choosing the right option today. You'll be glad you did! 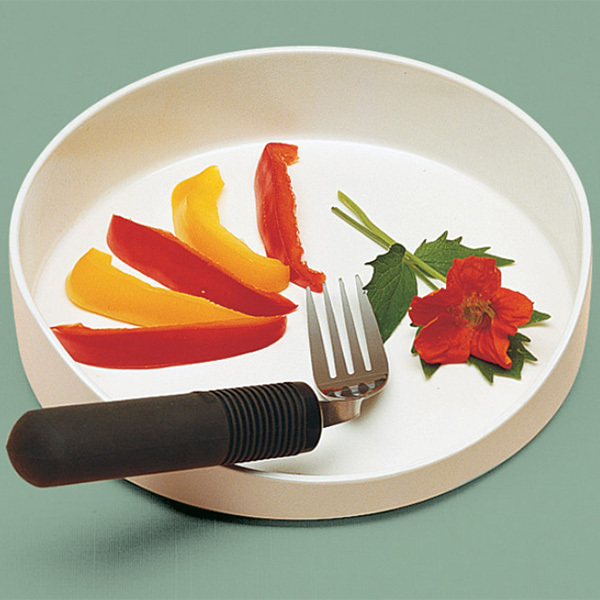 Getting your Disability Eating Utensils from Sportaid could result in up to 25% savings! Whether you are a new customer or someone who has been with us for a while, we guarantee satisfaction. 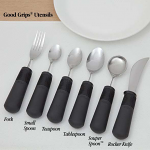 Sportaid’s huge collection of Disability Eating Utensils from Good Grips ensures superior grip and ease while during meal times. With our Low Price Match Promise on Disability Eating Utensils and more the 25 years in the business, we continue to lead the industry! We carry a large selection wheelchair cushions, wheelchair parts, and wheelchair accessories. We are capable of beating any competitor's advertised price, just call! Our customer service staff has over 50 years of experience, plus over 90 years of combined wheelchair use experience. We look forward to working with you!